Protect yourself from the impact of external events: get free and valuable tips, advice, interviews and analysis to help grow your business or social enterprise, achieve your goals, and secure the media coverage you deserve. Small businesses and social enterprises need to stay focused, not be derailed, by external factors we can’t control. By thriving we create opportunities and impact. tried, tested and proven communications tips. advice from the business owners and social entrepreneurs I interview every week in my radio programme: hear how they have overcome challenges, learned from their mistakes, and grown their businesses. You can put their advice into action. clear and simple analysis of policies and regulation which will affect you. invitations to events you can attend. 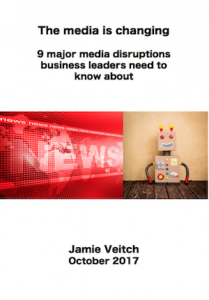 Join today (it’s free, just pop your email in below) and I’ll send you three communications and business strategies which you can implement for growth and resilience – plus my free report, The media is changing: 9 major media disruptions business leaders need to know about. Your email address is secure, never shared, and you can unsubscribe at any time.